How Does Fencing Affect Home Value? Spring is the most popular time of the year for home sales. If you’re looking for simple ways to boost your home’s curb appeal before you sell, there are plenty of things you can do. One of the most popular improvements you can make to boost the value of your home is to add a vinyl fence around your property. It’s a well-known fact that having a strong, sturdy fence around your yard can boost your property values. The exact percentage of the value boost is based on a number of factors; for instance, your home’s value will go up more if you’re in a neighborhood where most of the other houses already have fences. Of all fencing types though, the kind that holds and displays its value the best is a quality vinyl fence. What makes vinyl superior to other types of fencing? First, vinyl is more versatile than other types of fencing. Vinyl fences can be used in every way a traditional wood fence can, but you can also use them in locations where wood would rot or deteriorate quickly, such as areas with lots of sun or rain. Vinyl handles adverse weather better than wood does in every circumstance. Vinyl is also stronger than wood fence. Because it has higher tensile strength and greater flexibility, it stands up to wind and debris better than wood. A vinyl fence won’t chip or break from a hailstorm, and you can safely use your weedeater right along the side. Because vinyl fences are stronger than wood, a vinyl fence keeps its original appearance much longer than wood fences do. Vinyl fences never need to be stained, painted, or treated – they keep the same look even after years in your yard. 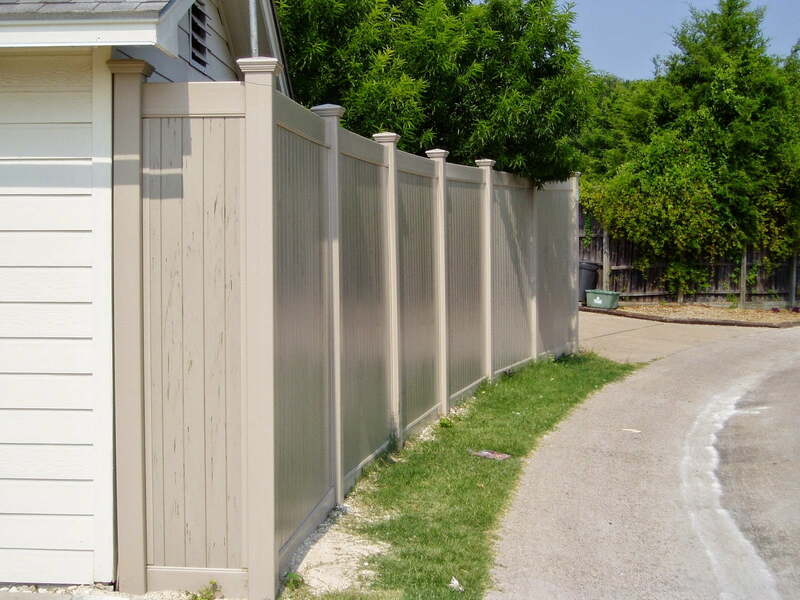 Many vinyl fence products come with lifetime warranties. Try finding the same offer on a wooden fence. All of these factors combine to create a product that is attractive, durable, and an excellent overall value. When you put a vinyl fence on your property, that value transfers to the property itself – some estimates say that a well-built vinyl fence can add thousands of dollars of value to your home. Future Outdoors is the number one provider of vinyl fencing products in the Dallas metroplex. If you’re interested in learning more about our vinyl fences, or you want a quote for your home, call us today. You can also follow us on Facebook for updates and special offers!